Select our experienced moving professionals for your international relocation! Our international movers have extensive experience planning and executing relocations to countries across the globe. Find valuable resources, and select services and a partner that will guide you through the complicated process. Begin your free moving estimate online or by phone today! Moving into or out of the US requires very careful planning and special considerations. From customs and legal details to specialized packing, transport and everything in between - Choosing an experienced international mover is a necessity. Work with a dedicated move planner to determine your unique needs and outline the details of your relocation. Our experts will review all of our available relocation services, and outline necessary tasks that must take place every step of the way. An estimate will outline the details of your move, including all logistical details as well as documentation requirements. Detailed planning and adequate supplies ensure that your household and personal items are protected in transit, and packed properly to ensure a smooth move. 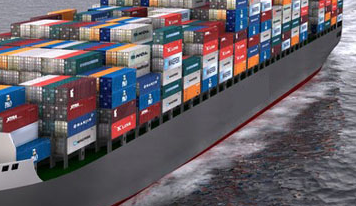 Whether your move will be completed with airfreight boxes, steamship containers or crates - proper packing is essential.